Paris Saint-Germain coach Thomas Tuchel described Neymar as “sensational” after the world’s most expensive player scored a hat-trick in a sublime display to lead Paris Saint-Germain to a 6-1 rout of Red Star Belgrade in the Champions League on Wednesday. The Brazilian admitted before this game that he still did not feel back to 100 percent after the foot injury which required surgery and saw him miss the last three months of last season. But he tore Red Star apart with two goals in the space of two first-half minutes at the Parc des Princes, the first a delightful curling free-kick, before completing his hat-trick from another stunning free-kick late on. “I really liked the effort made by the whole team, but Neymar was sensational,” said Tuchel. “You can feel that he is hungry in every match, that he wants to be decisive, win the ball back, be at the heart of the play. Edinson Cavani, Angel Di Maria and Kylian Mbappe also scored as PSG bounced back from a 3-2 defeat at Liverpool two weeks ago to register their first points in Group C.
But seeing Neymar play with a smile on his face again is especially encouraging for the French champions. “Winning is the main thing that I want, but when I score goals I am even happier,” said Neymar, who described the game as his and PSG’s best yet this season. Paris have a double-header to come next against Napoli — who beat Liverpool 1-0 on Wednesday — and the Italians will offer a sterner test than Red Star, the 1991 European Cup winners who had been unbeaten in 34 games before arriving at the Parc des Princes. 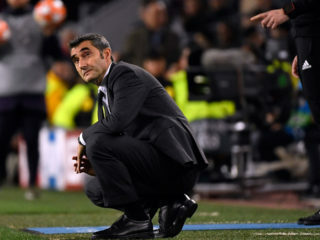 The Serbians grabbed a consolation goal through Marko Marin, but they could not cope with the home side’s front four, a quartet who cost PSG almost 530 million euros ($610 million) in transfer fees alone. 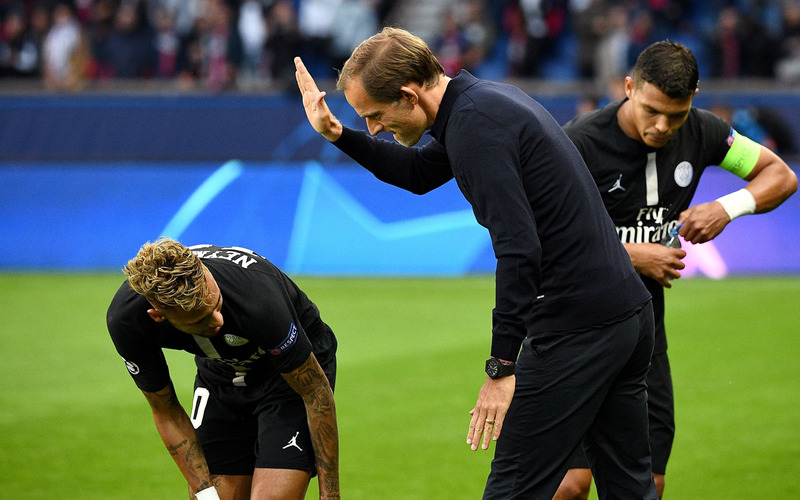 Such was the imbalance between the teams that PSG were never likely to be troubled despite playing this game with one end of the Parc des Princes closed, a punishment following incidents in the defeat against Real Madrid in March. This time trouble broke out after the match, with several hundred individuals involved in clashes with police outside the stadium, but the night was all about Neymar. He won the free-kick which led to the opener in the 20th minute, the Brazilian getting up to curl a fine strike past Canadian goalkeeper Milan Borjan from 25 yards. The hosts scored again two minutes later as Neymar found Mbappe before meeting the return pass with a lovely finish. That was Neymar’s ninth goal in nine games this season between Ligue 1 and Champions League. 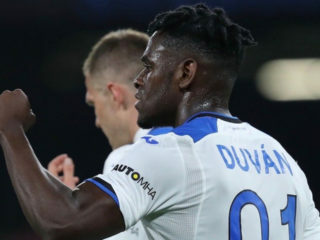 The former Barcelona forward’s performance was also notable for a brilliant nutmeg on Milos Degenek that created another shooting opportunity just before half-time. PSG had already scored twice more by then, with Cavani finding the net on 37 minutes with the aid of a deflection after some brilliant footwork and Di Maria guiding in a Thomas Meunier cross in the 42nd minute. Neymar produced more magic in the build-up to PSG’s fifth goal 20 minutes from time, finding Juan Bernat, who squared for Mbappe to finish. Red Star supporters were given something to celebrate as Marin, the former Germany winger whose career lost its way after a move to Chelsea, blasted home in the 74th minute. But Neymar had the last word, curling another free-kick high into the net to complete his hat-trick nine minutes from time, taking him into double figures for the season. Tuchel then immediately substituted his star player, who walked off to a standing ovation. The PSG coach will now be desperate for Neymar to keep performing like this.